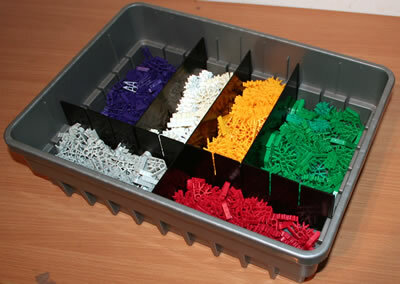 All K'NEX 3D connectors have slots in. 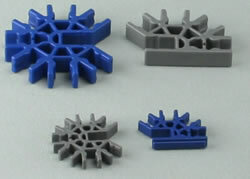 The ones shown in the photo are the classic K'NEX Connector 4-way 3D Grey and the classic K'NEX Connector 7-way 3D Mid blue. The slots allow you to connect any two 3D connectors to each other. To do this, put one slot inside the other slot, and push until you hear a click. 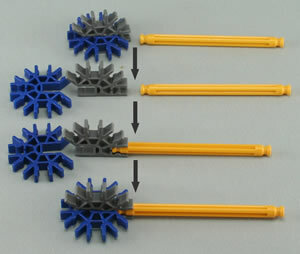 Using 3D connectors together like this is very useful if you are making a 3 dimensional KNEX model which needs corners. 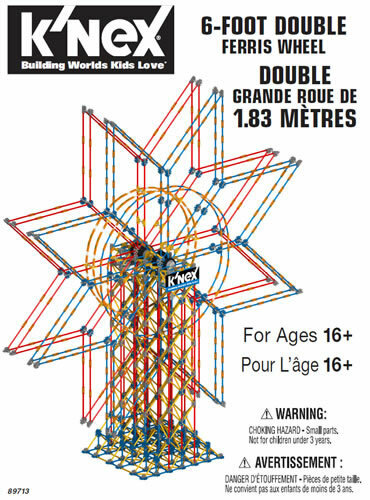 Younger children may find connecting 3D connectors together quite difficult. You may prefer to join them together yourself for them beforehand. 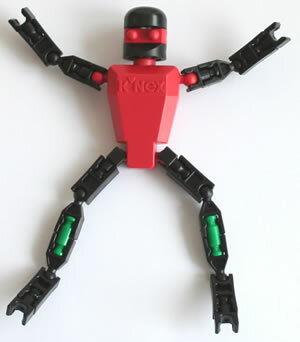 Note that 4-way and 7-way 3D connectors are available in a range of different colours, and in both classic K'NEX and Micro K'NEX. 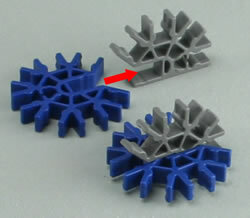 The photo opposite shows some more examples of 3D connectors joined together.